Hollywood Palms has always been generous with promotional passes and discounts for our guests, especially when compared to our competitors, and each week about a thousand of our guests see a movie at Palms for free. In fact, we have so many offers out there that we understand our guests might need a guide to help keep track of them all. If you are unsure of your pass and whether or not it is valid, have a look here! Individual passes have restrictions, but the following is true of any free pass at Hollywood Palms - free/discount passes can only be redeemed at our box office and cannot be used for reserving tickets online or over the phone. Guests can come in any time on the day of the show and redeem their free passes for a showtime that day. Passes cannot be redeemed for future dates. Guests cannot purchase tickets online and then refund their tickets in order to redeem passes. Seats cannot be held until guests can come to the box office to redeem passes. Passes are only valid through their listed expiration dates – after that, they cannot be extended or replaced for any reason. Pass validity is determined by studio mandate - for example, if a pass is not valid for opening weekend, it’s because the studios won’t let us accept it and will penalize us if we do, possibly even forbidding us to play their features. We know that seems like a lot of rules, but as long as your passes are valid, there's no reason you can't enjoy a movie! We recommend coming to the box office early in order to reserve the best seats. Special Engagements are any movies that have not yet completed their opening weekend. So, if a movie comes out on a Thursday, it will not be valid for passes until the following Monday. Disney Features are never valid for any free pass. This is a studio restriction and we apologize for any inconvenience. Free passes are also not valid for special events (private parties, charity events, multi-movie marathons or food & beverage packages). Our most popular benefit! Subscribers to our weekly e-mail or our app receive four Birthday Passes on the Monday before their birthday. These passes are valid for thirty days from date of issue and will have a printed expiration. Birthday Passes are valid Sunday through Thursday, but cannot be used for special engagements, on holidays, or for Disney features. Birthday passes can either be printed out and exchanged at the box office, or cashiers can see your birthday pass on your phone and have you sign for free tickets. State-issued picture ID will be required to prove that you’re you! ID will have to match the name on the pass. Birthday Passes are issued only to guests with valid, active e-mail addresses. If you are part of our e-mail list or have the Hollywood Palms app, but did not receive passes on the Monday before your birthday, e-mail our event coordinator, Gina, at [email protected]. Calling the theater is not recommended and will significantly delay any attempt to resolve an issue – it is always better to e-mail Gina at [email protected] directly. Green and Purple Courtesy Passes are each good for two admissions at Hollywood Palms, with Green Passes valid Sunday through Thursday, and Purple Passes valid every day, for any feature except Disney releases. They are the size of business cards and full color on the front, with a black & white back. Red Courtesy Passes are just like Purple Courtesy Passes but are only valid for one admission, not two. Courtesy passes are valid for special engagements and on holidays, but not valid for Disney features, private parties, charity events, multi-movie marathons or food & beverage packages. Courtesy passes are always printed on cards - we do not accept paper courtesy passes. Guests of our partner hotels may see a free movie at Hollywood Palms during their stay. Our partner hotels are given courtesy passes, which the guest just has to trade in at our box office (guests will need to show their room key to indicate that they are currently staying at a partner hotel). Guests may see any regular feature on any day except for Disney features. Hotel passes are valid for special engagements and on holidays, but not valid for Disney features, private parties, charity events, multi-movie marathons or food & beverage packages. We have an app for all smartphones, and it has a punch card! Score two free passes just for downloading, and then earn eight free passes for every tenth visit. App passes are valid Sunday through Thursday, but cannot be used for special engagements, on holidays, or for Disney features. Hollywood Palms respects and appreciates the hard work of those who serve our community. As a result, on Monday-Thursday, we have special deals as a reward – buy one ticket, get one free! Community passes are given to anyone with a valid ID for the following professions. Just walk up to the box office, show your ID, and sign for your free tickets (you can get one free tickets for each one you purchase, up to four - so if you buy four tickets, you get four free). Community passes are not valid for special engagements, Disney features, or holidays, unless we have specifically specified that those holidays are valid. Military (Active and Veteran) - Army, Navy, Air Force, Coast Guard, Reserves, National Guard. Not valid for independent militias or paramilitary groups. Police - Any local, state, or federal law enforcement officers. Not valid for independent or institutional security services (EG shopping mall security, corrections officers). Firefighters & EMS - Firefighters, Emergency Medical Technicians, ambulance drivers and care assistants, dispatchers, and paramedics. Hospital Staff - Nurses, doctors, any medical staff who works in a hospital. Not valid for independent specialized clinics (for example, dentists, chiropractors) or practitioners of alternative medicine. Teachers - Educators who work in state-funded public educational institutions. Not valid for independent institutions, self-run schools or courses, or training programs (eg SCUBA teachers, religious studies). Military/Police/Firefighter/Hospital/Teacher ID holders also receive discounted tickets at the box office with ID every day of the week. In the past when guests would purchase a ticket at our box office, we would give them a sky-blue buy-one-get-one-free return pass to come back again within thirty days, which were not valid for special engagements or on holidays. We no longer issue these return passes, but if you have them and they have not expired, we will still take them until February 9, 2018. In the past we had sponsored partnerships with local businesses which allowed us to offer discounts or free passes for a limited time. Passes issued or advertised by the following are no longer valid and requests for passes or discounts will not be granted. If you have passes issued by any of the following at home, best to just toss them out. Websites like Coupon.EverafterGuide.net and Goodshop prey on unsuspecting guests with scam offers. We do not have any coupons with these fraudulent sites. We’re here to help. If you don’t see your pass described here, snap a picture of your pass before you come to the theater and e-mail it to Gina at [email protected]; she will get back to you as soon as possible. The earlier you ask, the better. If you prefer, you can also come to Hollywood Palms with your pass and ask any manager. We ask that guests not be rude or argumentative about the terms and conditions of free passes, especially to our box office cashiers. If we could be less restrictive with our free passes, we would be, but we must abide by studio directives. 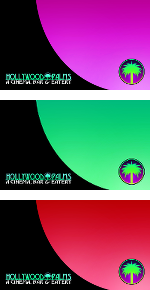 Hollywood Palms reserves the right to refuse any promotional pass. Again, Free/discount passes can only be redeemed at our box office and cannot be used for reserving tickets online or over the phone. Guests can come in any time on the day of the show and redeem their free passes for a showtime that day. Passes cannot be redeemed for future dates. Guests cannot purchase tickets online and then refund their tickets in order to redeem passes. Seats cannot be held until guests can come to the box office to redeem passes. Passes are only valid through their listed expiration dates – after that, they cannot be extended or replaced for any reason. Pass validity is determined by studio mandate - for example, if a pass is not valid for opening weekend, it’s because the studios won’t let us accept it and will penalize us if we do, possibly even forbidding us to play their features. We do not accept any passes for Disney features.